January isn't over yet and 2017 is already shaping up to be an amazing year in gaming, but it's time for us to take a knee and celebrate all the 2016 games that we played and loved! 51 lists were sent, 72 games were nominated, but only 25 remain. I will reveal one game a day to give you time to discuss and reminisce. In the links section for each game I'll include its Easy Allies review so you can see what all the fuss is about if you missed it. Despite its nice aesthetic and being more appealing for the Vita than PS4, finances and other tastes made me pass on this. Also @Axel do you think you need to have "Community" in the title of the thread? Without it, to new members to the forums, may be misleading and think its the Allies' list when it's not (per se...). @Brannox Good idea, added it. Thanks! Completely my opinion but I think it would have been better to release 2 games a day. 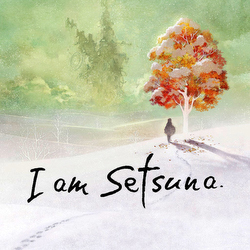 I did enjoy I am Setsuna, but it didn't make my list... If it weren't for the other 5 games I played that year. Yes, I only played 6 games that were released last year, and I am Setsuna was the one I left out. I havent played I am setsuna yet.. even though it feels like I really should! might be perfect for my Vita? I've only played 5-6 games released this year so while not perfect it didn't have to beat out much to make it on my list. I guess I did make the time to play it which says something though. I really enjoyed the art style, atmosphere, and music. Oh that music! I still listen to the soundtrack when working or doing stuff around the house when I'm trying to chill out, so beautiful. It was nice romp through a JRPG and I guess I could credit it for the resurgence of my love for JRPGs (I'm really excited to play Trails in the Sky whenever I can make time, but gosh is this season crowded). The game wasn't perfect but I enjoyed where it was coming from and really hope Tokyo RPG Factory makes something else. Like some others, I too only played actually pretty much exactly five games of 2016. Means they're all on my list. Well, I did really like them all (maybe the #5 not that much), so it's all good. A bit shame that I didn't have the time to try out The Last Guardian, Hitman, The Witness, Watch Dogs 2, even the new Doom. I think they'd been some solid contenders to make it to the points. This is a game that crashed on me after not saving for a while. While not worth to replay all that big chunk again, it was not a bad game but it was really pandering to the old-school audience, which is not me. I really did enjoy I am Setsuna, but there were some issues I would've wanted adressed. For instance, combat positioning was important to the outcome of a battle, but you couldn't really control where everyone would stand. Still a bit confused on the fluxes too.. I would've loved to played this on the Vita, but unfortunately it was a Japan thing only. The overall presentation and story were all really good and being able to not include the main character in the party was a fun surprise! It's a good first game for the Tokyo RPG Factory team and I am psyched about what they will come up with next! WIth Final Fantasy being such an eclectic franchise, this is one of the entries I decided to pass on. I really enjoyed the EZA review, as I felt it gave me the most complete picture of the game. And through Mr. Damiani's impressions, I knew it wasn't for me. Huh, with that, will FF get two spots in the top 25? If so, that's quite a feat for any franchise.